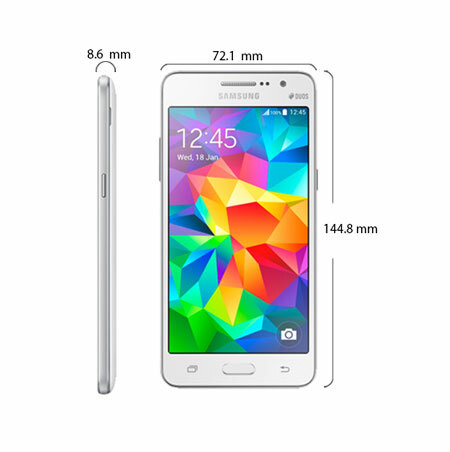 Available in a classy white color, the Samsung Galaxy Grand Prime is a powerful and high performance smartphone running on the Android v4.4 KitKat operating system. With the dual SIM support, you can now manage between your personal and professional contacts from this phone. The ultra wide front facing 5MP camera integrated with this phone, not only enables you to click some crisp and clear images, but also lets you capture more in each frame. You have enough space to store your favorite applications, multimedia and other important files, with the staggering 8GB of internal storage available on this phone. With the super fast 3G data connectivity, you can stay constantly connected to the Internet. The Samsung Galaxy Grand Prime comes with a sleek and stylish design and compact dimensions, which makes it comfortable to hold and convenient to carry. 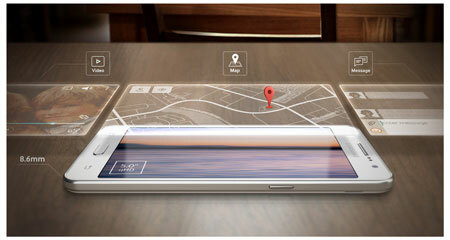 Not only this; with a thickness of just 8.6mm, it is ultra thin and can be easily slipped in your pockets or bags. Equipped with a host of useful features, this phone is a perfect blend of some great looks and amazing technology. The Samsung Grand Prime features a 5inch qHD display, which enables you to watch movies and videos in stunning high definition for an exemplary viewing experience. This Samsung Galaxy Grand Prime phone works on a powerful 1.2GHz Quad Core processor that facilitates a smooth and glitch free performance, even when you are working and switching between different applications. You can also indulge in a smooth and responsive gaming session with your friends thanks to the capabilities of this advanced processor. 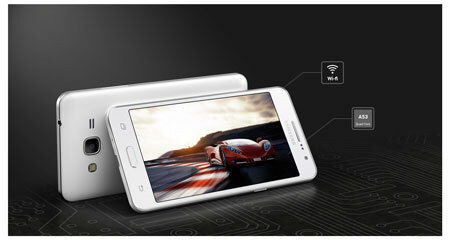 You can capture all your precious memories with this phone, which is equipped with a cool 5MP front facing camera. This camera comes with a viewing angle of a staggering 85degree, which lets you capture more in each shot. 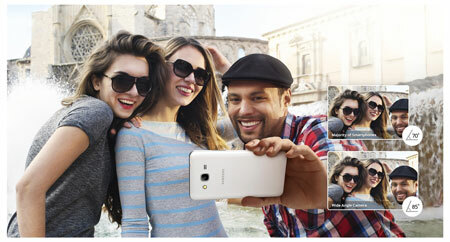 You can now fit everyone easily in the frame while taking those fun filled and delightful photos with your friends. 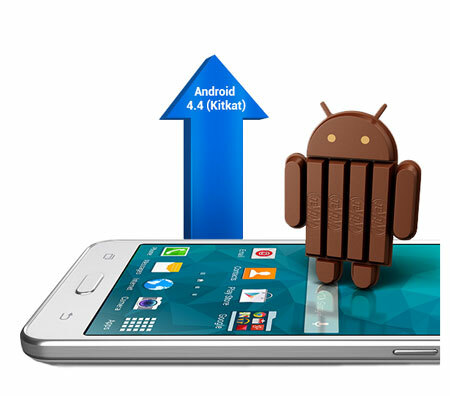 This phone runs on the intuitive Android v4.4 KitKat operating system, which provides a smooth and intuitive user experience. It enables you to download some useful and entertaining applications from the Google Play Store. So, you can not only stay constantly in touch with your favorite people over the various social media applications, but also enjoy playing some amazing multiplayer games with your friends.